All this has to do with a submarine, which seems however also to be some sort of an UFO. It seems that I am in this submarine, and that it is submerged. Radioactivity transmutates matter, which means that a mutation in matter happens. One chemical element transforms into another one. Further the radioactive decay is a multiplicatio, since it makes the whole surrounding radioactive. This is why the insect's submarine can transmit radioactivity to me, obviously to my body. The UFO/submarine is a 'condenser.' Thus it corrresponds to the unus mundus, out of which such 'radioactive decays' happen. They correspond to what I call the singular acausal quantum leap, obviously experiencable in one's own body. It is exactly what happened during my BCI of this morning. The submarine is an insect. 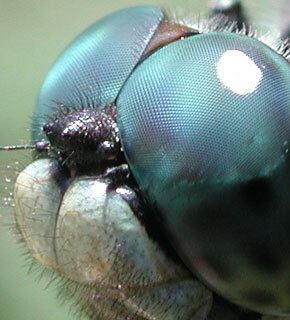 Insects do not have a brain and neither a CNS. They have only some sort of a vegetative nervous system. Thus, 'insect' means the VNS, in my case especially the lower four chakras. Over the VNS we can however contact the unus mundus, Pauli’s psychophysical reality ‘only indirectly inferable,’ namely not with the help of the CNS, but with the help of the VNS. The UFO/submarine seems to be the bridge between the VNS and the unus mundus. It is the last thing which is visible of the latter. This reminds me of course of the UFOs of Stratford-upon-Avon, which in my interpretation seem also to be such bridges, 'wormholes,' to the psychophysical reality (the latter not observable). It was Pauli who first saw the symbolic equivalence between the Hermetic red tincure and radioactivity. Here, however, a psychophysical radioactivity is meant, and not the merely physical interpretation of it [which does not accept that in beta radioactivity matter-psyche, the magic energy of Hermetic alchemy is produced]. The dream talks therefore of a deeper process than physical radioactivity. Further, this sort of psychophysical radioactivity seems to be psychophysically nonlocal. It is the ‘Point A’ situation, about which Carl Jung speculated already in the year 1928 (see post above). Last edited by Remo Roth on Mon Jul 01, 2013 9:04 am, edited 1 time in total. It is a UFO as well as a submarine. This means that this UFO does not belong to the sky as almost all encountered in the outer world. It belongs to the water, i.e., to the watery chakra svadhisthana. This means further that it belongs to the Vegetative Nervous System (VNS). My hypothesis is however that exactly with the help of a conscious identification and concentration on the VNS in the belly, onto the lower three chakras, the Eros ego can observe the events in the unus mundus hidden for the Logos ego. That an inner process is meant shows also the fact that the eyes are concave, i.e., oriented inwards. The UFO/insect submarine is radioactive. This means that in our inside we can observe psychophysical processes which are analogous to physical radioactivity. This is why I call these processes, the singular (acausal) quantum leaps observable by the Eros ego, also 'inner radioactive decays' or 'psychophysical radioactive decays.' Though this is a symbolical way of expression, the observation of the quantum leap has, as much as I see, extremely powerful effects in the inside as well as in the outside. Such effects are possible because of the so-called multiplicatio of the red tincture, the last goal of Hermetic alchemy (synonymous to the gilding of the gold). Already Pauli realized the symbolic equivalence between the radioactive decay and the multiplicatio. He was however not yet able to see that the 'inner radioactive decay' happens not on the physical, but on the deeper psychophysical level behind or beyond the split into the outer and the inner world, between physics and depth psychology. What does this mean? The multiplicatio corresponds to Carl Jung's anticipation about the point A event: When something happens in one human, which goes deep enough, then it has happened everywhere. How is this possible? Since the unus mundus is a spacetime beyond Einstein's. This means that it does not possess the physical dimensions space, time and mass (m, sec, and kg of the SI, in the 'Systeme International d'Unités; International System of Units). In the physical prejudice this 'other world' does not exist. However, it exists for the Eros ego with its ability to observe the unus mundus (Dorneus/Jung), the unified psychophysical reality (Pauli). Since such a compensatory 'space-time' has no physical dimensions, the point is the same as the universe. This means that it possesses the space attribute that a point = 'everywhere.' There is however also a time aspect: The kairos, the moment of the observation of a psychophysical quantum leap is equal to eternity (One can visualize this by the idea that the time measure interval becomes infinite; the same is true for the space aspect: the space measure interval becomes infinite = everywhere). Further the mass defined in this 'other space-time' has no weight. It seems to correspond to the subtle body. We can therefore also draw the conclusion that the subtle body is 'always/everywhere.' Such a 'being' is however equivalent to the world soul. [Actually it could correspond to the so-called cosmological constant, an anti-gravitational force, which is of equal size at any point of the universe.] Thus, in these moments of the kairos, of the observation of the 'inner (psychophysical) radioactive decay' (and of the outer?) there exists a secret identity between the subtle body and the world soul. This is what the Hermetic alchemical multiplicatio means when tranlated into a modern language. Such a process is what I call 'psychophysically nonlocal,' which term means the same as Carl Jung's intuitive anticipation: If something happens in a human and reaches deep enough into the unus mundus, it has happened everywhere. However, there is even more: Such an event changes the universe 'eternally.' This means that a qualitative change has taken place, which changes the world and the universe for ever. If it is true that in such moments new or 'higher' subtle body is created, then the amount of subtle body substance in the universe -- for me the deeper background of the material as well as of the spiritual/psychic world -- is increased. This would mean, as much as I see, that on the one hand completely novel matter/energy has been created (which process is unconsciously observed in UFO encounter, and consciously in BCI), on the other that 'the (Logos) Self has become more conscious' (Wolfgang Pauli). The latter process is realized in the observation and interpretation of synchronicities. The aliens would then become a combination of both processes: They consists on the one hand in (living) novel matter, on the other in novel spirit-psyche with increased knowledge. The difference to Carl Jung's idea is that there are two different processes: The increase of knowledge by synchronicity and the creation of matter containing ‘higher life,’ obeying ‘higher physical laws.’ It's true that Jung describes the former case, but not the latter, the incarnation in matter. PS: http://www.delta.ro/beatles/beatles/yellowsu.wav is the song I was fascinated ever since I heard it the first time in the sixties. Last edited by Remo Roth on Mon Aug 27, 2007 3:21 am, edited 2 times in total. Today I see that the dream reacts on an insight I had at the day before. I realized that the ego must become 'radioactive' and like this can observe the 'radioactive Self' respectively the 'singular radioactive decays in it. This means: One has to let oneself fall into the Eros ego (in the belly). Like this one can observe spontaneous creation and incarnation acts in the realm of the world soul, in the Eros Self, i.e., the unus mundus (Dorneus/Jung) or psychophysical reality (W. Pauli). This is what happens in Body-Centered Imagination. Last edited by Remo Roth on Mon Jul 01, 2013 9:03 am, edited 2 times in total. I went on in reading my notes of 1974, and I found a very interesting event: On Sept 23rd, 1974, I invented by chance my Body-Centered Imagination. I suffered from a very heavy tension in the neck. I began some sort of the 'Circulation of the light' as described in The Golden Flower: Up in the back and down at the front side of the body. Very soon I realized that the direction was wrong (since I got the sensation that my body dissolves in the surrounding; not a too nice experience, I can tell you), and I turn it around. I am in the old town of Zurich before a house of a friend. Of course I am reminded of Jesus Christ's crucification. The spontaneous association was: 'Golgatha' = literally: Place of the skulls. In the dream I know however that all this has to do with my marriage. My cross carries an inscription: "What a good luck that you chose this path!" The dream confirms of course that my turn around of the 'Circulation of the Light' of the Golden Flower was correct. Since then I let it always flow down the back -- also in opposition to the Kundalini process. The place of the skulls means the sacrifice (cross) of the head. This mentality eventually led into the development of Body-Centered Imagination, which is always together with bringing the energy down form the head to the belly (and never in the reverse way!). Last edited by Gone on Fri Apr 29, 2011 10:02 pm, edited 1 time in total. And this is the next synchronicity: This afternoon I looked up the dream about the radioactive insect’s submarine at the beginning (see http://unus-mundus.fr/viewtopic ... arine#5313 ) and then followed the thread. I realized that the picture about the three crosses in the pool ( http://unus-mundus.fr/viewtopic ... entre#9177 ) was not reproduced anymore (since the name contained a "ü" instead of "ue"). Thus I replaced it, and now the image is again visible. It seems the replacement of the cross by the two holes of physics, the one in time and the one in space, is again very much constellated. In my interpretation this means the observation of the spontaneous quantum leap during accidental time (the spontaneous image). Since an image can only exist in space, the other part is accidental space -- the two holes in physical spacetime.